The Kurdish Peshmerga has been a key force in the fight against ISIS in Iraq. Iraq’s government and the Kurds in the country’s north had a falling out in October 2017 when the Kurdish Regional Government (KRG) voted in favor of independence from Baghdad. The U.S. also opposed the independence referendum. Meanwhile, ISIS has increased attacks in Iraq in recent months, according to a report in Geostrategy-Direct.com’s April 3 edition. On March 22, ISIS jihadists attacked the Alas oil field in the Salah al-Din Province and an oil pipeline in northern Iraq, the report said. 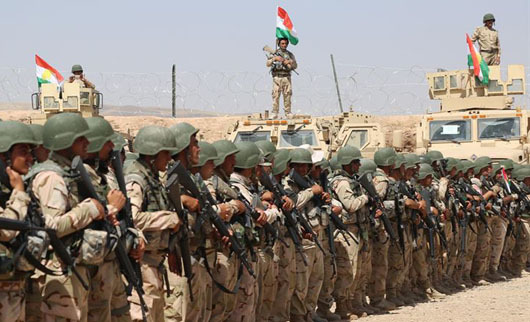 At about the same time, ISIS terrorists killed five members of the Iraqi security forces north of Mosul in the Nineveh Province and killed and wounded ten Hashd al-Shaabi fighters near Tuz Khurmatu, south of the city of Kirkuk in northern Iraq. Baghdad has acknowledged that it is repairing its relations with the KRG. “We are creating security cells under the leadership of the federal government’s Counter Terrorism Forces with the participation of security forces from the Kurdistan Region to fill the security vacuum,” Iraqi Prime Minister Haider al-Abadi said last month. On April 3, KRG representative Bayan Sami Abdul Rahman said the Iraqi Kurds will require the assistance of the U.S. to keep fighting ISIS. “We need you to stay the course in Iraq and help our society to recover from the most recent trauma that we faced,” Rahman said during a panel discussion hosted by the U.S. Institute of Peace (USIP).